I WOULD BE PLEASED TO SUPPLY YOU WITH ALL YOUR STAMPIN'UP! PRODUCTS, DELIVERED TO YOUR DOOR ! AND OFFER ANY HELP YOU NEED WITH THEM ANY WHERE IN THE U.K. I am an Independent Stampin'Up! Demonstrator and all material and blog content are my personal responsibility and as such are not endorsed by Stampin'Up! I am in the TANTALIZING TEAM - join us, ask me how! 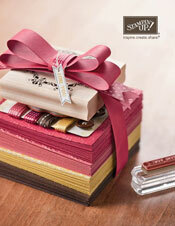 You can order any STAMPIN'UP! products with me, I am always happy to help and advise, thank you. Or perhaps you would LIKE TO BE A DEMONSTRATOR, ask me about joining, and using fantastic quality products! Forgive my photography I think some not in focus too well, but I was trying to avoid the camera and my own shadow lol, but at least you will get the idea. 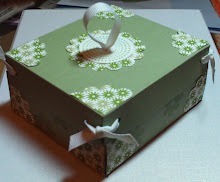 Two Step Bird punch Gift. With 4 Different Note Cards. Images copyright 2008 - 2012 Stampin'Up! Please contact me by email for any queries or help that you require. Always happy to help. 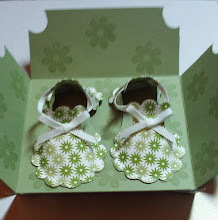 Welcome to Majella's Creative Stamper Blog. This is the first time that I have tried to do a Blog! so if you are new, please have a go as well, and for those who have experience and some fantastic ones, please bear with my trials and errors ! ! ! ! ! ! ! I want my blog to be a place to share Idea's and Tip's, and as a computer newbie, find out how to improve my blog as time goes on LOL, knowing me it may take a while, so please bear with me.............! Thing! ! ! ! ! ! Hi thank you for coming to my blog. I am a divorced mother of three grown up daughters, and have four Grandsons. I have always been artistic, from my childhood, and have done many different crafts. In 2002 I was fortunate to go to Hawaii and study "Onestroke Painting" with Donna Dewberry,a great experience, where I also swam with Dolphins. PLEASE BEAR WITH ME . I have at last got a connection from my camera to my computer, so will be spending a while taking photos of current projects, and will then update my blog lol. NOW RETIRED ! WAS ONE OF MY FAVOURITES. 1st version designer paper and certainly celery card. 2nd Version. 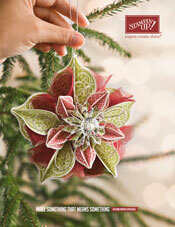 This set has been updated by using the New Scallop Edge Punch and Tombow Glue. Pretty in Pink Shoes & Box. NEW 2012 - 2013 MAIN CAT. Autumn Winter Catalogue 2012 Click on picture to veiw full catalogue. ASK ME FOR YOUR COPY NOW ! Journey planner - Added as a useful tool, hope it helps!